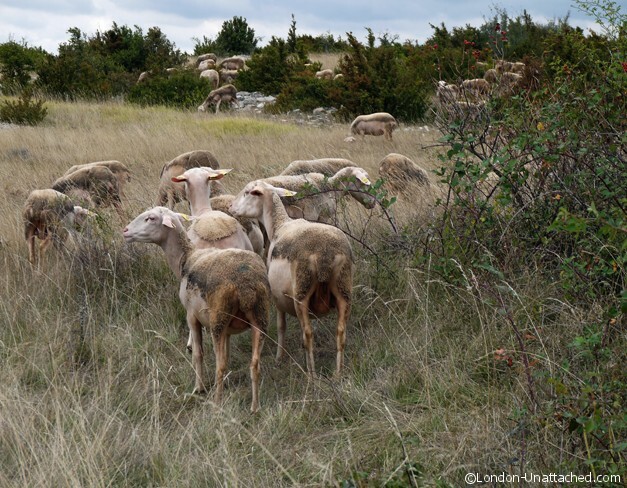 For more than three thousand years, the people of the Causses and Cevennes in the South of France have depended on sheep for milk and meat. A dramatic landscape, with limestone plateaus and deep gorges, the climate and geography is one where a rigorous method of farming is needed to survive. 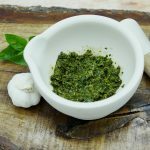 That method has evolved slowly over the centuries, past learnings have become current practice and few modern innovations have a place here. 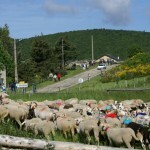 The Grand Causses (there are three main plateaus – Mejean, Sauveterre and Noir) provide grazing for herds of sheep and cattle on natural grasslands, while two granite mountains (Lozere and Aigoual) punctuate the landscape at 1,565m and 1,699m and the schistose Cevennes has a series of deep verdant river valleys, providing some protection from the extreme weather conditions on the plateaus and moutains during the winter months. It’s an area where it is all too easy to imagine life a hundred, two hundred or five hundred years ago because so little has changed. 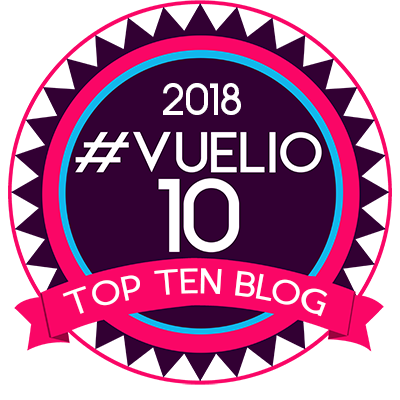 Recognition of that preservation of a traditional way of life is what led the area to receive a UNESCO listing for Outstanding Universal Value, protecting the countryside from major development. 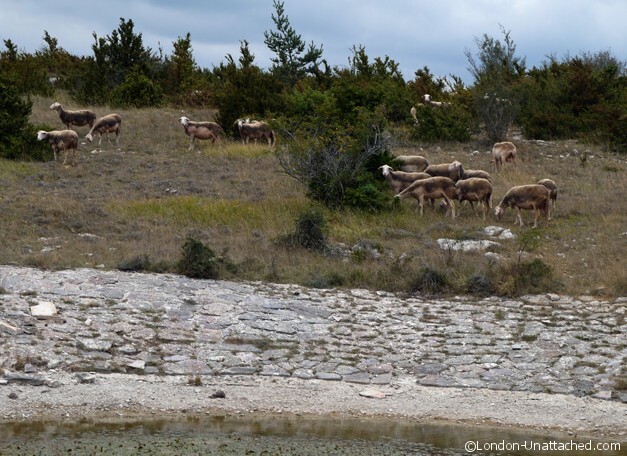 Our visit took us up onto the Causse Mejean where, we searched without success for the Przewalski’s horses living and hopefully breeding on the plateau which provides an ideal habitat, similar to the Mongolian plains where this endangered species originates. 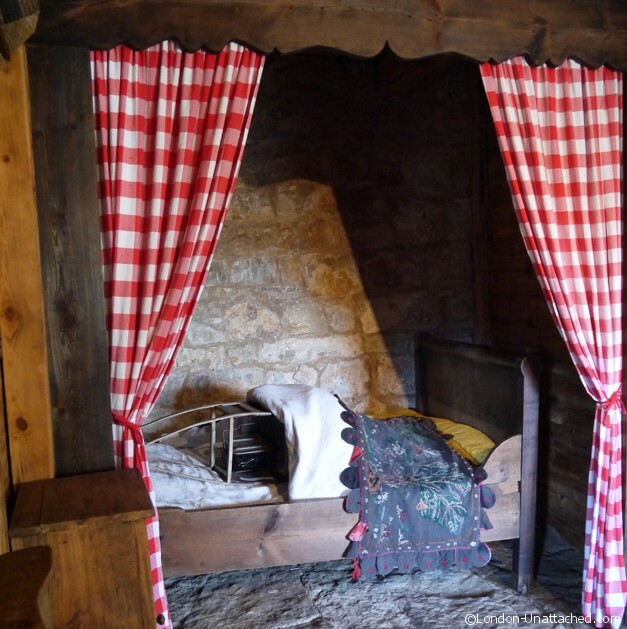 From there, we visited the Ecomuseum Ferme Caussenarde d’Autrefois. This project, initiated by the current owner’s father, has preserved the farm as his grandparents left it. 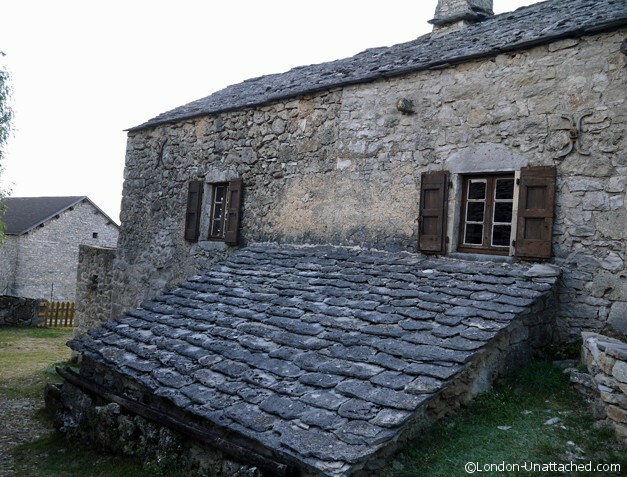 Traditionally constructed with the limestone tiled roof supported by massive stone arches. We learnt that even in the 1950s there was no electricity, no gas and no mains water supply. 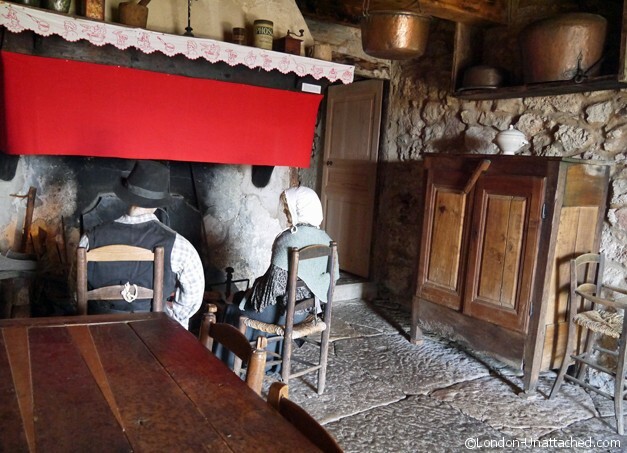 The main living room on the first floor with a vast chimney running over one wall is where the family spent most of the day. 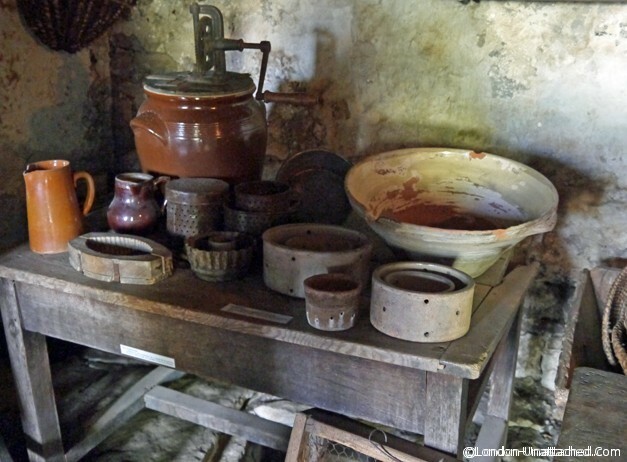 Cooking was on an open fire with cast iron and clay casseroles set in the embers. Bread was made for everyone in the area on a weekly or twice weekly basis in a huge bread oven outside to the side of the building. To the side of the main house a water tank which fills from rainwater drained from the stone roof, the only source of water for humans and animals in an area where the limestone is too porous for wells and the plateaus too high for rivers or streams. On the ground floor are barns where the farm animals might have been protected from the worst of the weather. Now home to a whole range of old farm equipment and photographs, it’s a fascinating insight into farming life in the past. 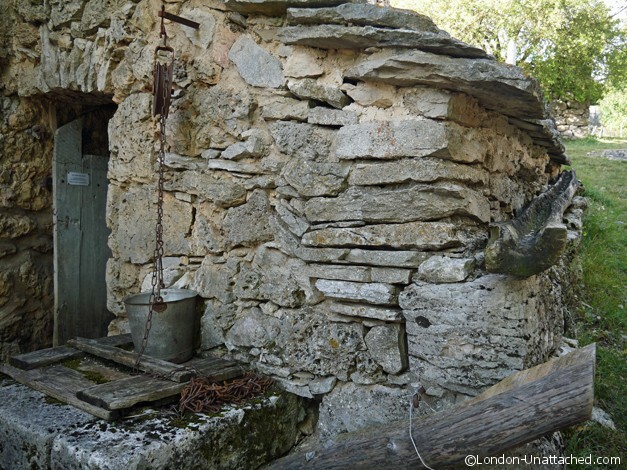 The owner told us that his brother still farms, producing milk for Roquefort from his sheep. But, he lives just a few minutes away from the old farm building with just a few more comforts! It was and still is a hard way of life. Later on the trip we visited a sheep farmer on one of the plateaus near Aumessas. 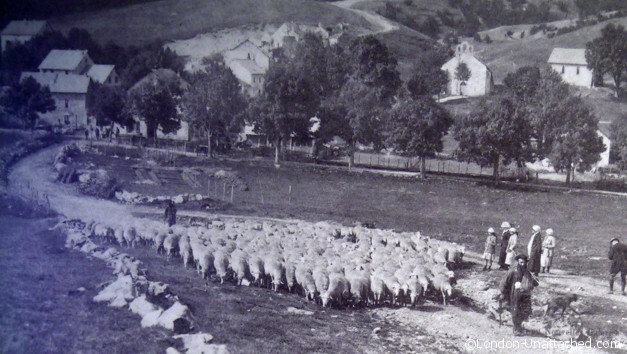 The plan had been to explore the area and walk with the sheep and shepherd and picnic on Roquefort and Cazelle cheese. But, in early September the weather was bitingly cold and windy. Instead we spent a few minutes by the lavogne talking to farmer, shepherd and (in my case) to some sheep who were clearly not interested in learning English. 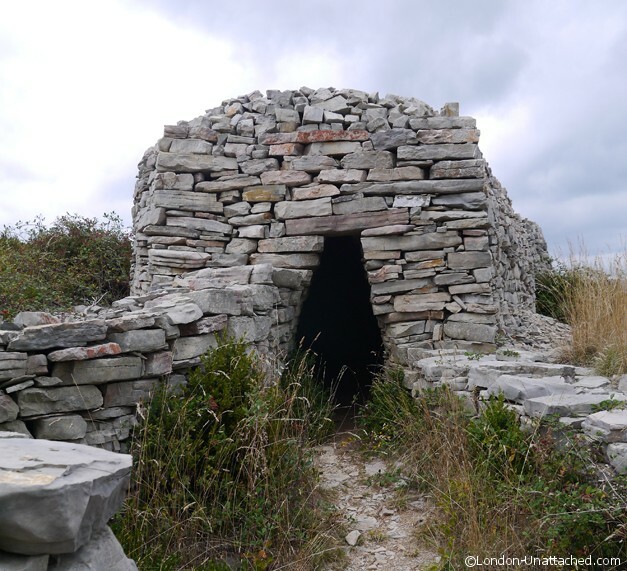 We were grateful to take refuge out of the wind and ‘explore’ the limestone shepherd’s shelter from which the cheese takes its name ‘cazelle’. 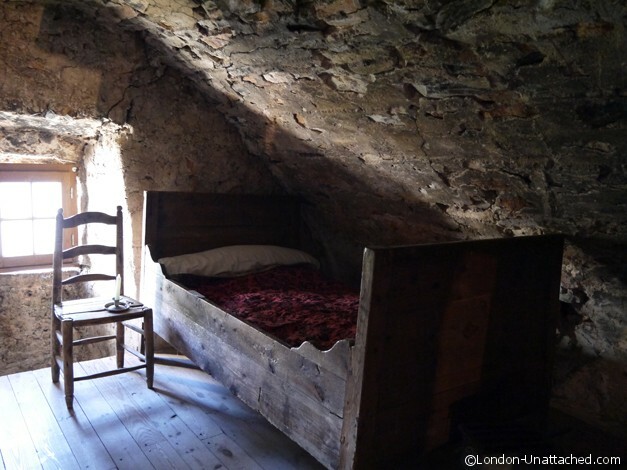 Built from dry stone wall limestone, with two rooms – at the front, there’s space for a few lucky sheep and lambs at the back a cosy if dark and windowless room for the shepherd himself. The landscape is scattered with lavognes – watering holes, these days for the sheep – made by lining natural hollows with clay and paving with limestone to collect and store water, cazelles and clapas (bizarre piles of stones heaped up over the years by shepherds and farmers). A vast and dramatic area where you might drive for hours without passing another car. 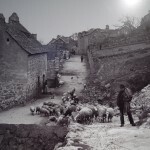 We arrived just too late in the year to see the annual transhumance, but did see some of the bells and woollen pom-poms used to mark the sheep as they are moved from the plateaus and mountains down into the valleys for winter, together with wonderful photographs of transhumance in the last century. 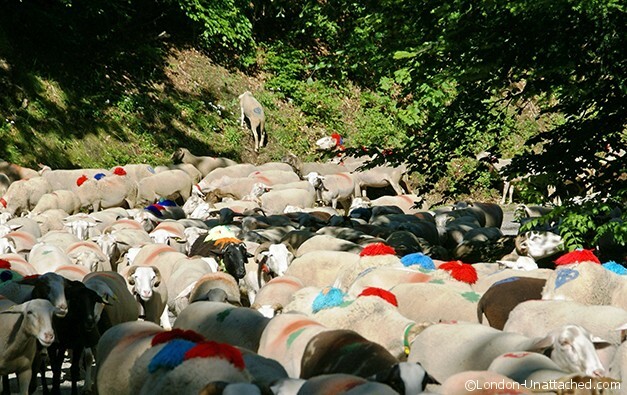 It is, by all accounts a fabulous event, the sheep branded, dressed with bells and woollen pom-poms making their way down the old drailles and through the villages where everyone comes out to watch. 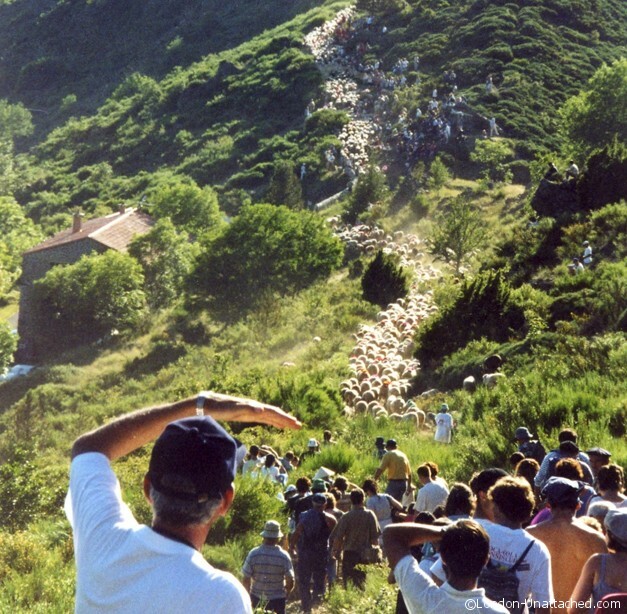 The photographs of this year’s transhumance sent to me from Lysiane Boissy d’Anglas, from the Tourisme du Gard office makes it an event that has now made its way onto my personal bucket list. More thanks to Jackie Bru, Inger Berckhauer and Lysiane Boissy d’Anglas from the tourist offices of Causses et Cevennes for their guidance and hospitality on this trip More posts to follow looking at the unique geography, the wonderful hotels and the very special food and wines of the area. 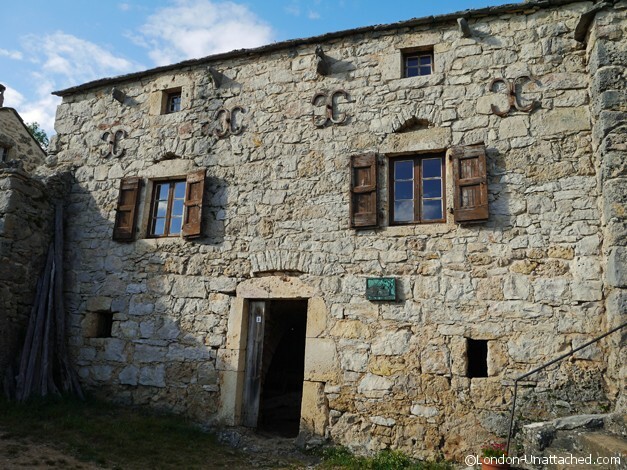 There is much more to cover, as I suggested in my initial post on Les Causses and Les Cevennes but traditional farming is at the heart of this territory and the foundation of many of the unique features we explored. I love that this area is protected from becoming overly developed so that it’s rustic beauty will stay intact! The countryside is absolutely beautiful! 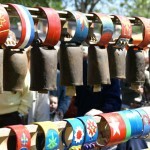 Such a great photo essay of this area. I would never even know to go there but the architecture and the countryside is beautiful!! Sheep party/cow party pretty much the same…this looks super Swiss to me..and the museum people look like Pilgrims….hmmm. Great pics, Fiona.